La Princesse Maleine is one of the first paintings of Desombres. Finished in 1894 AD, oil on canvas, 180 x 240 cm. 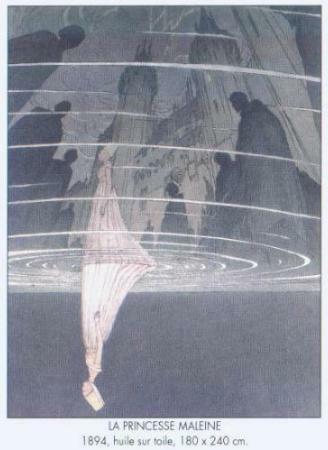 Based on a play by Maurice Maeterlinck, this painting shows the reflection of another world. It was often reproduced upside down, including on a poster advertising a rerun of the play 1).